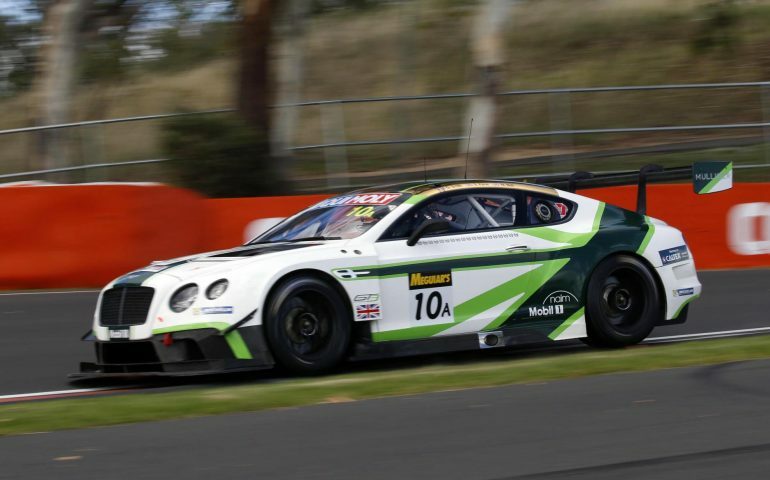 BENTLEY MOTORSPORT has confirmed the drivers that will lead their 2018 GT3 attack, including the Liqui-Moly Bathurst 12 Hour next February. Five of the six existing drivers will return, while 2017 Bathurst podium finisher Oliver Jarvis departs the team and will be replaced by young French rising star, Jules Gounon. LeMans winner Guy Smith, Steven Kane, Vincent Abril, Maxime Soulet and Andy Soucek all return to the squad. Combinations have yet to be firmed however Smith and Kane, in particular, have created one of the strongest Bathurst 12 Hour records – though without actually winning the race. With Matt Bell, the pair missed the podium in the final corner in the 2015 race when they were nudged out of third place within sight of the flag. The same combination finished third in 2016, before scoring the same position this year with Jarvis replacing Bell. “Consistency is key for endurance racing so to have five of our drivers back to continue their long-standing relationships with us allows us to get stronger year-on-year and is testament to the loyalty within our team. Jules (Gounon) has shown that he has the pace and maturity to fit in to a leading team. Bathurst is set to be the swansong for the now three-year-old Continental GT3, with the newest model unveiled recently ahead of an early 2018 debut.